Oh, that was worth the wait. Darlin’ Daddy and Mama, let me see if I understand. I know if I’ve got it wrong, Daddy, you- especially- will correct me, seeing how you’re my Minister/ Teacher and Earthly Father. It is wrong and plum sinful for me, as a young lady, to hold hands with a boy that I really like, and I must never, ever hug him ’cause-Land O’ Goshen-he might be a feelin’ my chest bumps and be havin’ sinful thoughts. But, now, here’s the puzzlin’ piece: Bubba Josh could put his big ole paws all over and inside my body when I was knee high to a grasshopper, and although that was a sin, I must forgive him and wonder just what I did to lead him astray. Poor Bubba Josh!! Do I understand it, now? Well, all righty, then; Praise The Lord and His mysterious ways. 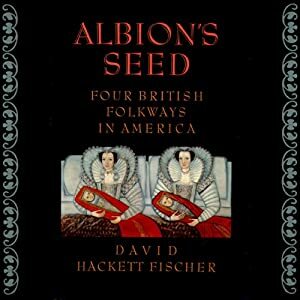 I read in a review article about Albion’s Seed that Mr. Fischer was going for his next project to do an equivalent book about the several waves of mass-kidnapped Africans from different culture-parts of the continent at different times, and how they gave rise to different folkways among different grouploads of different African Americans in different parts of the country. (A lot of that could be somewhat mixed and diluted by movearound/churnaround of black people in the last few decades). But Mr. Fischer has never gotten around to writing that book, so far as I know.